We had a packed event back on February 25th despite a wacky, windy weather day. 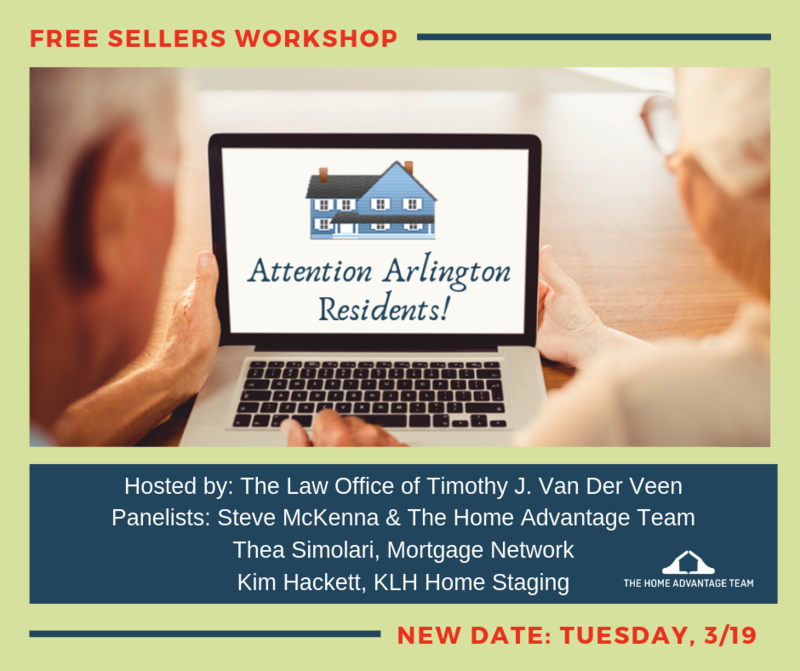 Arlington residents braved the elements and came out to hear speakers on a variety of real estate-related topics, but more importantly, they were able to ask questions and get detailed answers to their specific questions. Everything from capital gains taxes, buying and selling at the same time and the importance of staging. The venue is local, the speakers are experts in their fields, and the attendance is limited, making for an interactive dialogue among participants. Will you owe capital gains tax if you sell?